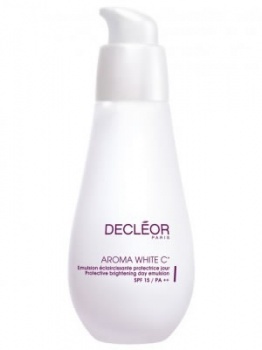 Our White Focus complex, derived from the powerful extracts of Peony, Saxifrage and Tamarix, together with Vitamin C, Roman Chamomile Essential Oil and Papaya Extract, work together to brighten and correct uneven and dull skin tones by preventing the production of excess melanin and lightening existing surface pigmentation, while Vitamin E helps prevent the appearance of new dark spots. The result is beautifully soft, smooth skin and a clear, flawless and even complexion with incredible radiance and dark spots left visibly reduced by 87%*. When paired with Aromessence ™ White Super Serum as part of an Aroma Duo, complexions were found to be 93% more radiant**. Suitable for dull and pigmented skin types.